Cruise ships are likely to dock in Nansha Port, which is far from city center. A large-scale infrastructure investment will add not only two more berths, but also a big passenger terminal, with a completion date of October 2019. Use taxis or cruise provided transportation. 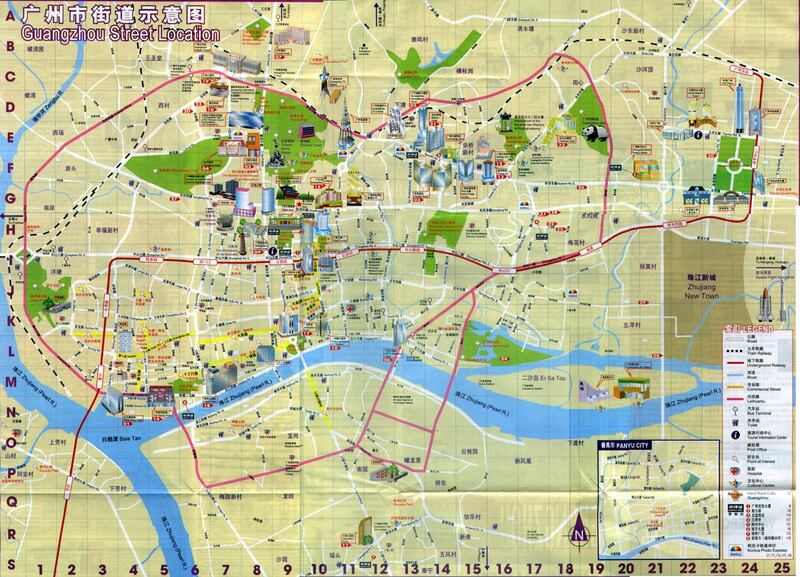 Guangzhou is a famous historical city. In ancient days, Guangzhou was the capital city for three Chinese dynasties: the Nan Yue (South Yue), the Nan Han (South Han) and the Nanming (South Ming). Thus it was put in the list of the 24 most famous historical cultural cities and became a tourist destination. You can not understand most Chinese cities deeply until you know their history. This is true of Guangzhou. Many historic sights: the Western Han Nanyue King's Tomb Museum, the Zhenhai Tower and the Sun Yat-sen Memorial Hall tell you the 2,000-year history of Guangzhou. To get around in the cities, one best uses a taxi or a van: They are very cheap and plentiful. Make sure you talk to the driver beforehand, to check his language skills. Start your first visit with Western Han Dynasty Nanyue King Mausoleum Museum. The mausoleum is the showcase of Guangzhou with a history of over 2,000 years. Then move on to the Five-Ram Statue in Yuexiu Park. The sculpture of five rams is the symbol of Guangzhou. It is located in Yuexiu Park, the largest urban parkland in China. Finally you might visit Shamian Island. Shamian was once home to the two concessions given to France and the United Kingdom by the Qing Dynasty government in the 19th century. Now it is a paradise in the busy city like Guangzhou. You won't see heavy traffic there. Houses there are from late 19th century and early 20th century.